This is a brand new official HP USB charger for the iPAQ 200 series. 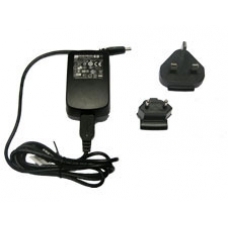 These chargers come with removable heads, this power supply comes equipped with a UK standard 3-pin head and a European 2-pin head. Do not endanger your iPAQ with low quality after market products, these official HP chargers are the best way to ensure your iPaq unit is correctly and safely charged.